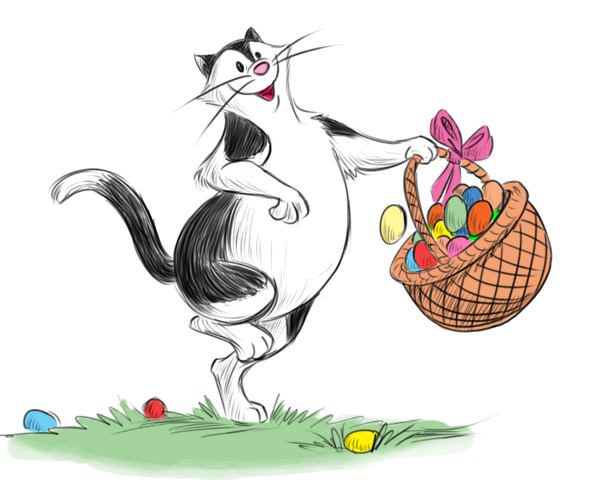 have a fun easter egg hunt and eat lots of eggs! i’ll be enjoying some roasted lamb with ground coriander and dijon mustard and chopped fresh rosemary leaves! snow, snow, and more snow! cold and wet and sticky! i think i’ll stay on my comfy pillow. 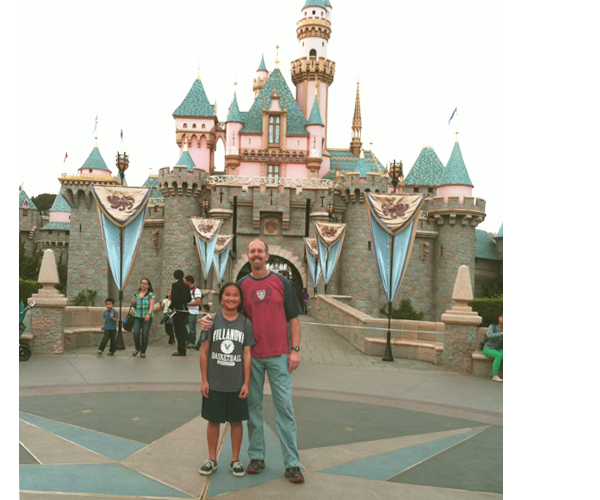 frans took his younger daughter to the happiest place on earth. they went to disneyland and had a lot of fun. i didn’t go, but i think the happiest place on earth is my couch pillow. nothing is more comfortable than my soft, cushy pillow. and when i’m lounging on my pillow taking a leisurely long catnap, i am in the happiest place on earth! especially when i ‘m dreaming about food… nothing can be happier than that! and right now i’m going to dream about lamb stew with parsley sprigs and black peppercorns and garlic cloves and baby carrots and yummy sugar snap peas. now what can be happier than that? people never smile in old pictures. they always look so serious in those black and white family portraits. 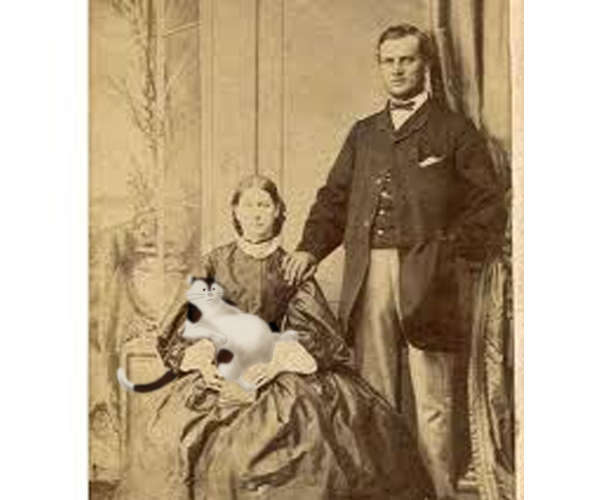 maybe there wasn’t much to be happy about in those days. or maybe they just had a lot of serious thoughts. i can understand that- i do a lot of serious thinking. especially in between meals. i think very seriously about my next meal- will it be tuna salad with dried parsley and minced onion flakes and sweet pickle relish? or maybe pork roast with dried thyme and ground black pepper. and i just happen to know that tonight we’re having chicken pot pie. but i’m not sure what’s for dessert, so i have a lot of heavy thinking to do today. i love irish jigs! 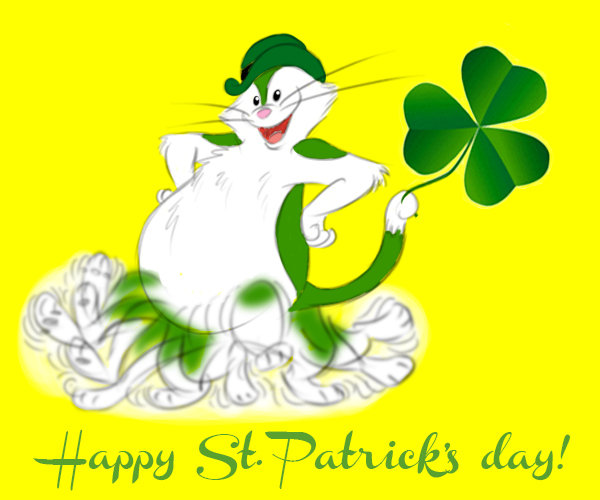 and after a good work-out dancing, i have an even bigger work-out on corned beef and cabbage or parsnips or turnips with black peppercorns and gold potatoes and carrots and chopped fresh parsley! ahh, a nice quiet cup of joe at the local coffee shop. a nice coffeecake or an apple fritter or blueberry scone or butter croissant and the morning paper. i guess the couch is just fine. every movie villain has an evil sidekick. 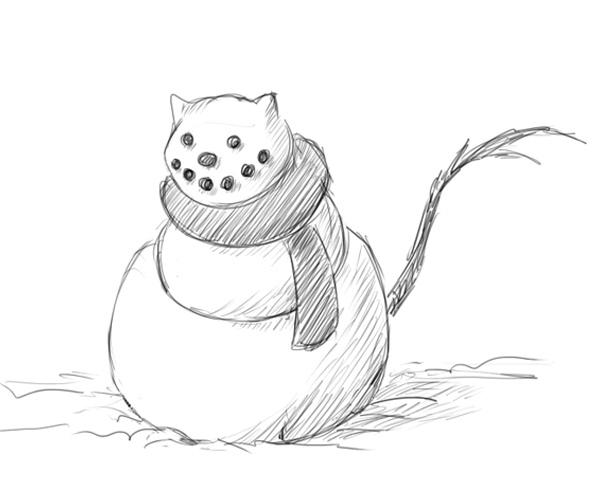 and there’s nothing scarier than an evil cat. 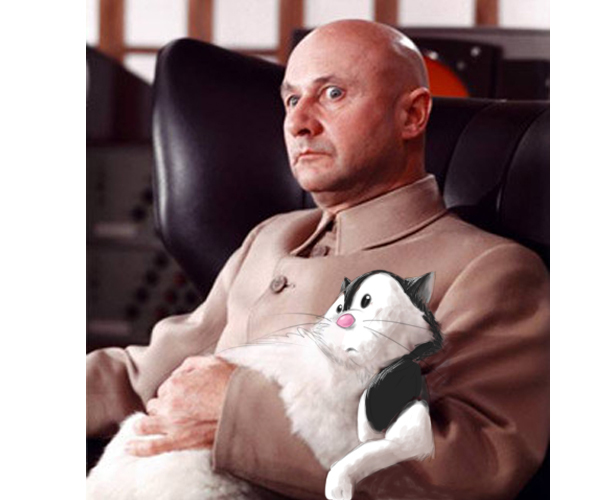 i could be be one of those, quietly sitting on my master’s lap, purring contently while plotting dastardly deeds. the villain is often a rich guy who lives in a lavish palace and eats only gourmet food. if i wasn’t such a nice kitty, i could get used to the villain lifestyle- four square meals a day, with a shrimp cocktail or brie cheese and crackers snacks in between, served by beautiful people on silver trays. i could think of a few deeds to do to the neighbor dog. i could dig under the fence to his doghouse and catnap him and torture him all night by scratching my nails on a blackboard. how eeeeeeeeeeeeeeeevil!!! 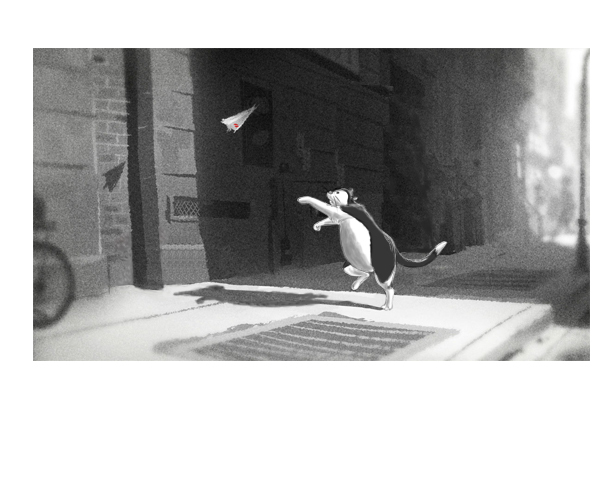 a black and white cat in a black and white world, an abrupt gust of wind, a futile chase to catch a paper airplane and he loses his way in the big city. what a riveting story! 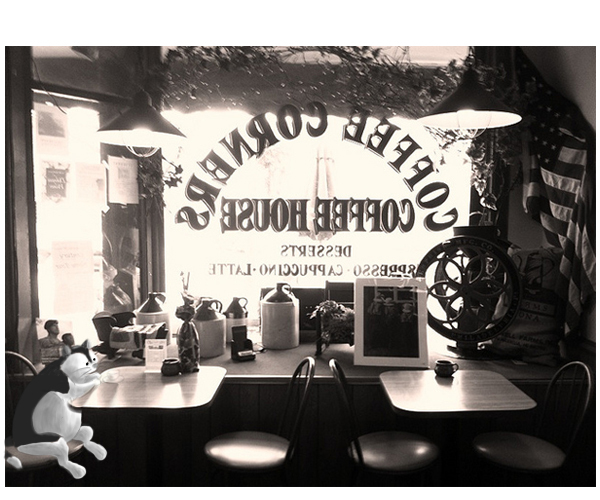 all it needs is a happy ending, like the paper airplane lands on a bakery shelf filled with yummy cream puffs, and the kindly owner offers the poor hungry cat a dozen cream puffs and a few chocolate eclairs. then the kitty’s owners arrive and take him home where he gets a great big fried chicken and mashed potatoes dinner and a chocolate chip ice cream pie for dessert. 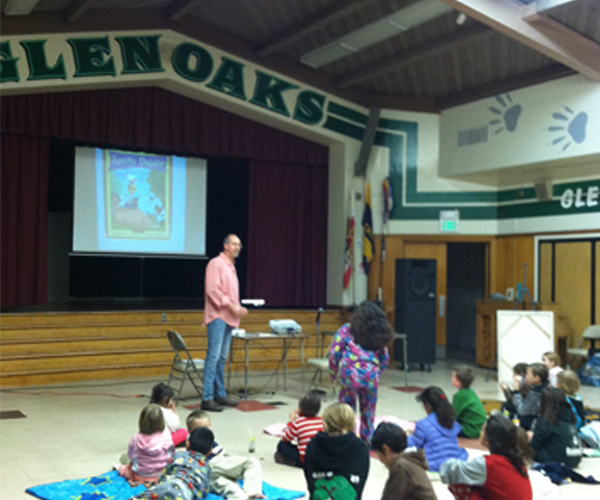 frans visited glenoaks elementary school recently to talk about his books, jimmy dabble and fuddles. and he gave the kids a special preview of the new fuddles book coming in the fall, a very fuddles christmas. it was pajama night, so there were lots of bunny slippers, comforters and pillows, and happy kids and parents. i didn’t get to go, but i would have been right at home! i love getting all cozy on a warm comforter, with a big bowl of popcorn and ice cream. that is, after a nice meal of course, and perhaps a long nap.